The Affordable Care Act changed the way individuals can buy NH health insurance. As a licensed broker Stephen Donohue is authorized to help NH individuals and businesses buy health insurance directly or through the marketplace (healthcare.gov). Individuals can buy health insurance with the help of an agent at NO ADDITIONAL COST. Some individuals and businesses may get help in the form of a TAX CREDIT - to lower their NH Health Insurance Costs. 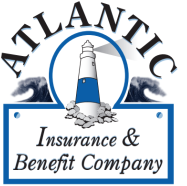 Let us help you evaluate the different NH Health insurance companies and plans that they offer- and PICK THE BEST ONE for your needs!